I’m going back…back to Bali…Bali!!! 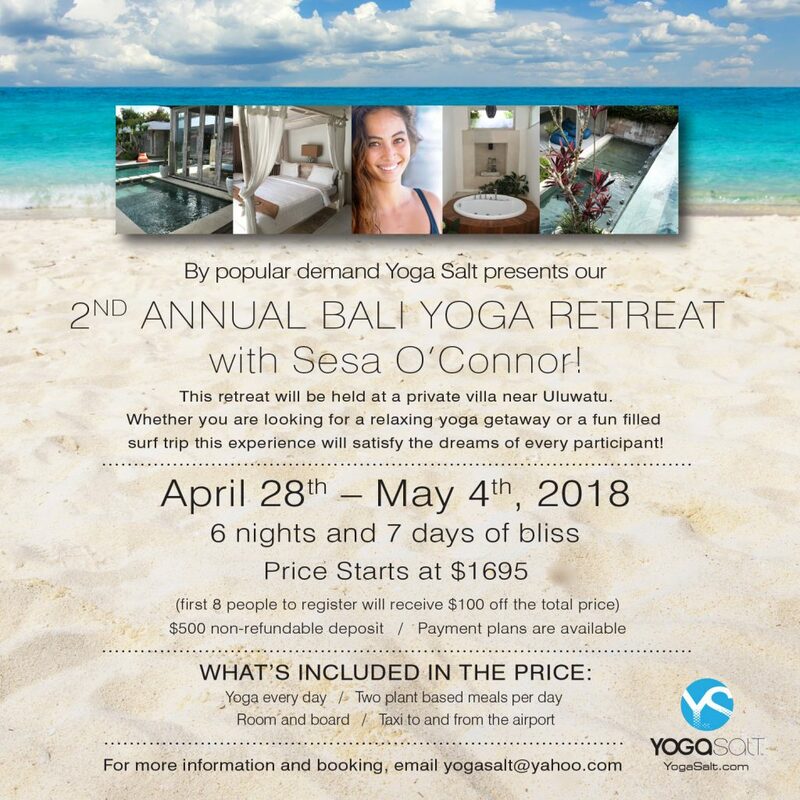 In April 2018 I will be returning back to Bali for the Yoga Salt Second Annual Bali Retreat. Whether you’ve been looking for a yoga retreat to help rejuvenate your soul or if you’ve been needing an excuse to surf some of the best waves on the planet or you’ve been dreaming of a tropical escape then this retreat is for you. Come relax, explore, breathe, move, surf, REPEAT. First 8 people to sign up get $100 dollars off total cost. Prices start at $1,695 for shared accommodations. Click the contact me button for upcoming retreat locations.